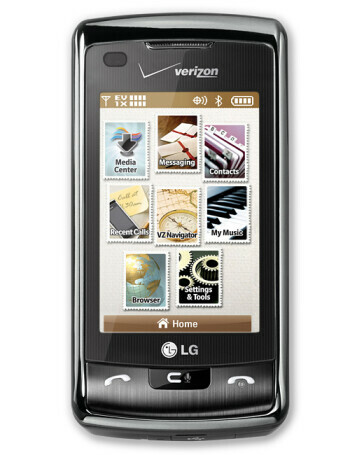 The LG enV Touch is the successor of the LG Voyager. Similarly to the previous phone, it is a side-opening clamshell with two large screens, which measure at 3 inches in 480x800 pixels resolution, with the external one being touch-sensitive. 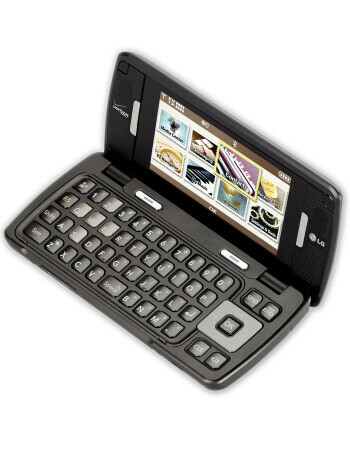 Once opened, it has a four-row QWERTY keyboard for handy text messaging. 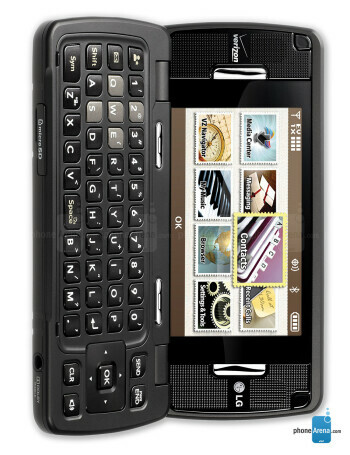 Other features of this really high end phone are a 3.2MP Schneider-Kreuznach camera with flash, document viewer, 3.5mm jack and 1xEV-DO rev.A support. 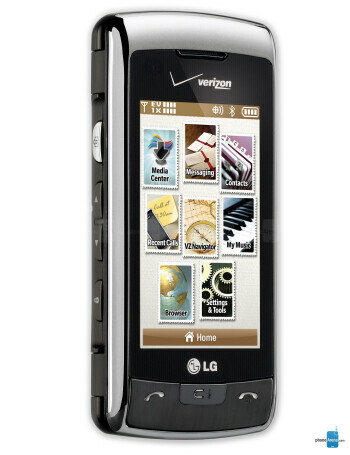 Remember the LG enV Touch, the manufacturer's Voyager sequel?